Wow says it all! 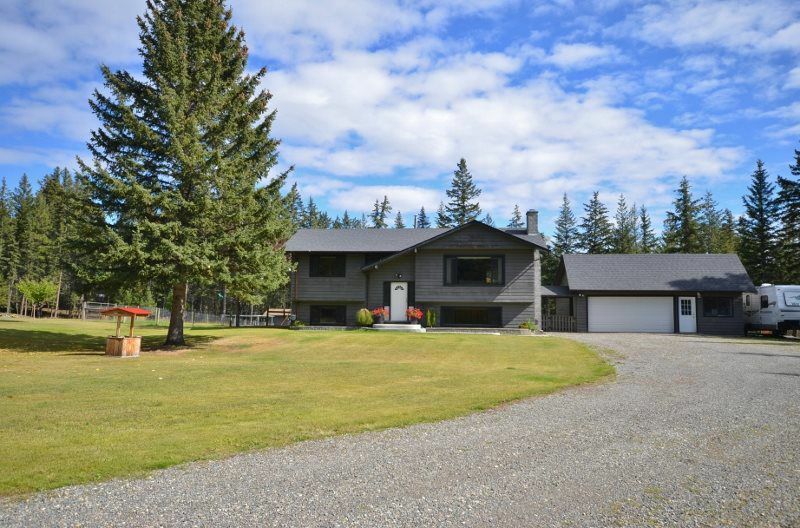 Beautifully landscaped 2.47 acres with privacy trees & fully fenced. Gorgeous updated 4 bedroom home with open concept living in living area. Fully updated & tiled bathrooms, all newer ss appliances plus hardwood floors in living room & neutral paints throughout. Patio door leads to huge outdoor deck with BBQing centre & large covered pagoda for outdoor entertaining. Huge 24x30 insulated garage/workshop complete with separate office, perfect for a home based business. Also a huge 16x33 separate building for all the toys & area for RV parking. New high efficiency furnace, newer HWT and updated shingles. You'll love the amount of sun on this large open lot with perimeter trees for privacy. It is so move in ready! DetachedGrge/Carport, Open, RV Parking Avail.